If you’re looking for the best beauty box subscription to gift to friends, family members or even yourself, Glossy Box might be exactly what you’re hoping for. Glossybox describes their brand as “a beautiful box filled with beautiful treats,” and it truly is. After trying five of the best beauty subscription boxes, we felt that Glossybox offered an amazing experience. This beauty box comes with five high-end,full-sized beauty products, wrapped in black paper, tied with a bow and gently placed inside a glossy pink or white box. Hence, the name Glossybox. Read our full Glossybox review to learn more about this fun way to treat yourself. If you’re a makeup lover, you’ll love subscribing to this beauty box. Glossybox includes both makeup and skincare products in their boxes but focuses more on the makeup side. Glossybox has two different branches that deliver two separate beauty boxes. Glossybox North America delivers to the United States and Canada and features skincare, makeup and hair care products from top brands. The North American beauty boxes are curated by in-house beauty experts and focus on beauty products that are from new, emerging and trendy luxury brands. Glossybox Worldwide is the original Glossybox brand. It was founded in 2011 in Berlin and ships to Norway, Sweden, Germany, the UK, France, Ireland and Switzerland. This beauty box focuses on the latest beauty trends from Milan, Brazil and Japan. We sampled the Glossybox North America beauty box. Glossybox only includes full-sized products inside their beauty boxes. For just $21 a month, you receive five high-end beauty items with a value of over $100. Considering that one beauty product in a retail store like Sephora can cost you more than $21, this subscription box is an amazing deal. Don’t expect to see beauty brands you’d find in CVS or Target inside your Glossybox. This beauty box subscription only includes luxury brands that are gaining traction. In the North American boxes, you can expect to find luxury brands that are popular in Canada and the United States. Brands inside the December 2018 North American box included Copper + Crane, Luna By Luna, Becca Cosmetics, Kaleido and Jafra. The worldwide Glossybox sends luxury products popular in Milan, Japan and Brazil. 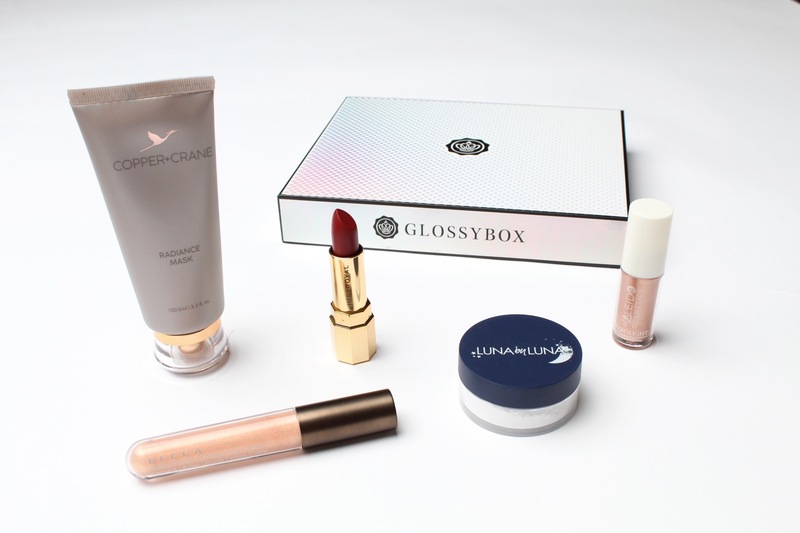 Glossybox has the best packaging out of all the beauty boxes on our top five list. While other beauty boxes throw their products in a cardboard box with the company’s logo on it, Glossybox goes the extra mile. These beauty boxes are wrapped in high-quality packaging and make great gifts. Beauty products are wrapped in black paper, tied with a black bow and gently placed inside a glossy pink or white box. Different subscription options: Glossybox allows you to choose the subscription option best for you. You can pay monthly ($21/month), every three months ($58.50), every six months ($111) or annually ($210). All subscriptions automatically renew unless you cancel them before the deadline. You get discounts if you choose the options where you pay for more boxes at once. Shipping costs are included, but some states require tax. 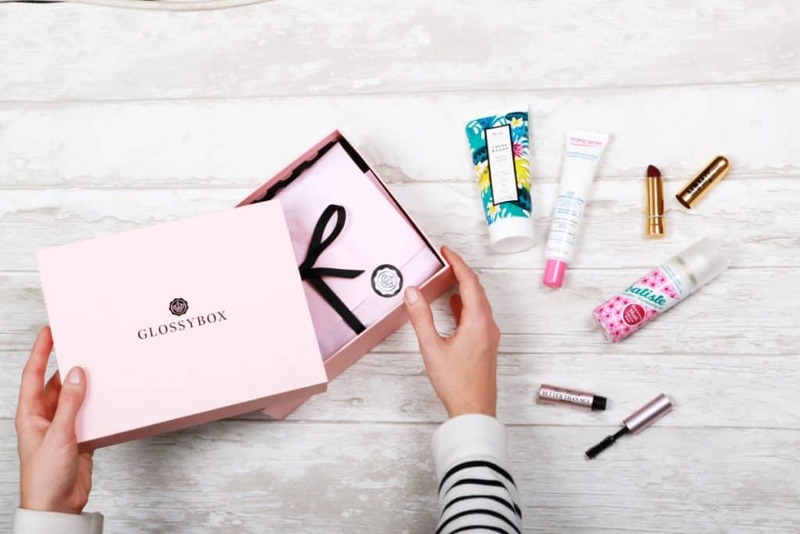 Doesn’t repeat product types: Unlike other beauty box brands, Glossybox aims to curate boxes without repeated beauty products. 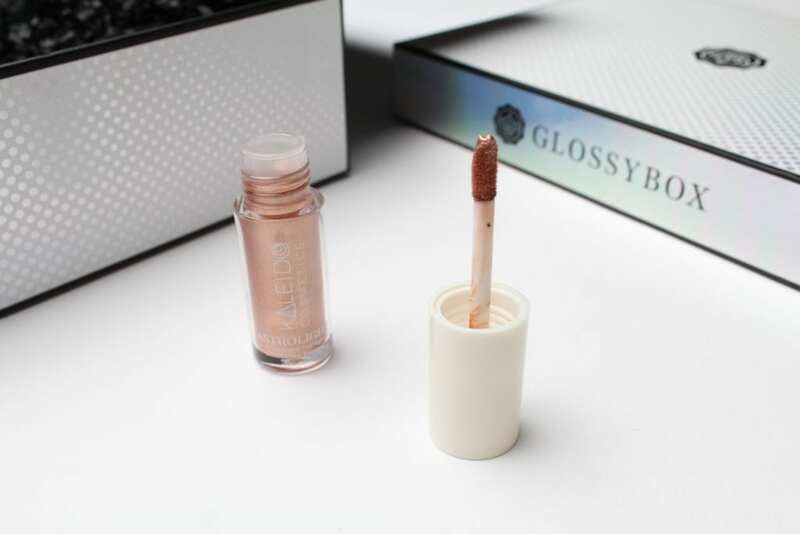 While other beauty boxes included 2-3 different moisturizers or more than one lipgloss, Glossybox had just one of each beauty item, all in tones and shades that were universally flattering and easy to use. Full-sized products only: While many beauty boxes send either just sample-sized products or a mix of sample-sized and full-sized products, Glossybox will always send you full-sized items. If you like to try a lot of products but don’t like small sample sizes, Glossybox is ideal for you. High-quality packaging: The beautiful packaging makes this box more exciting to give in the mail or to give as a gift. High value: This beauty box subscription costs just $21 a month, but the combined value of the contents inside is well over $100. In addition to the five products, Glossybox also often includes free vouchers and discount coupons. Luxury brands: If you prefer high-quality, luxury brands, this is a great beauty box option. Some beauty boxes give a mix of brands. Glossybox only sends luxury items. Glossybox reviews frequently talk about how wonderful it is to receive such great products without having to hunt for them. Different items in different boxes: Boxes shipped to the U.S and Canada contain different beauty products than boxes shipped to Europe. If you have your heart set on something sent to another country, you may not be able to receive that item in your box. 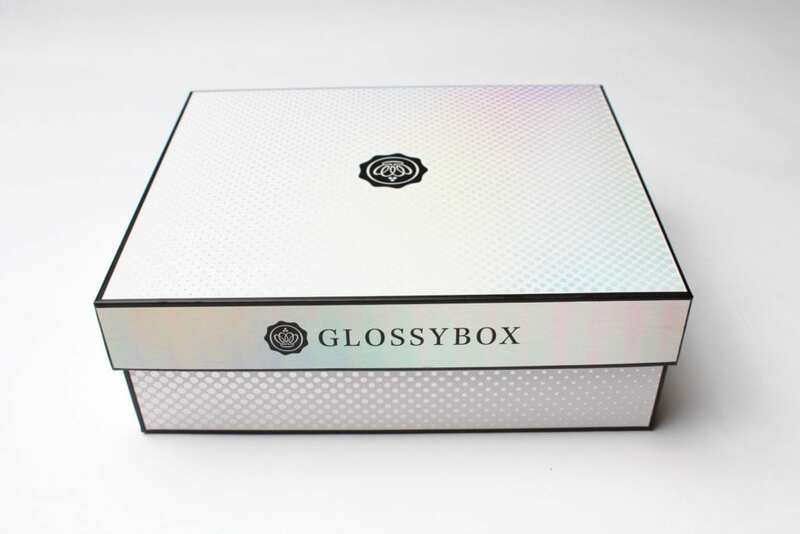 No customization: Unlike some other beauty subscription boxes, Glossybox does not offer customization options for your boxes. Glossybox is worth the money. While the cost of the Glossybox subscription was just $21 per box, the total retail value of the December 2018 box was $122 for the beauty items alone. 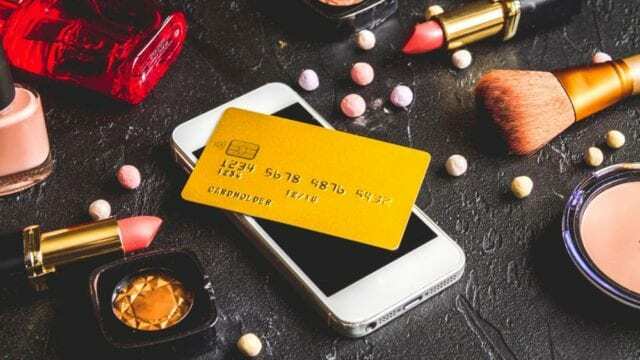 With the additional $100 wine voucher to Naked Wines and the access to online makeup masterclasses, the value was well over $222. A box like this can help you save money on beauty products. Glossybox also saves you time. Instead of wandering the aisles of Sephora, picking out a new product, waiting in line to pay, realizing you don’t like the product and trekking back for returns, you get to sample new products in the comfort of your own home. With five full-sized beauty items included in your Glossybox, you’re bound to love at least a few of them each month. Glossybox reviews are almost always positive because of the high value of these boxes. To help you determine the quality of a typical Glossybox, this portion of our Glossybox review will go over the contents of the December 2018 box. Each box comes inside a high-quality, glossy pink or white and black box with the company’s logo on the front. 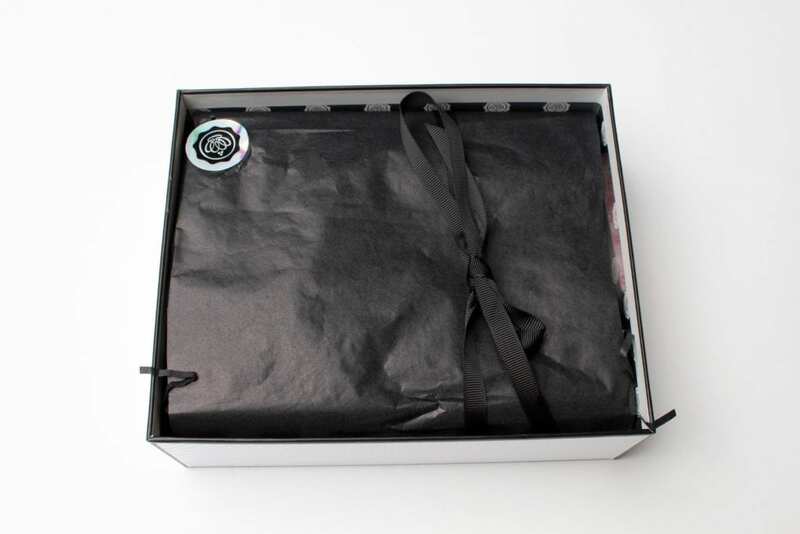 Inside the box, you’ll find the beauty products neatly wrapped in black wax paper and tied with a ribbon. You can expect to receive five deluxe, full-sized beauty products in every Glossybox. The December 2018 box included four makeup products and one skincare product. This radiance mask by Copper + Crane was our favorite product in the beauty box. The packaging is beautiful, the mask is a radiant copper color and the formula works well. This is a peel-off mask that goes on like a gel and then hardens after you wear it for 20 minutes. The beautiful copper color of the mask makes it look like you painted your face in glitter, and your skin will glow after using it. Beware if you have sensitive skin, though! We did notice a slight stinging, tingling feeling while wearing this mask. Other Glossybox reviews of this product online show some people with sensitive skin got extremely red after using it. Our skin didn’t get red and looked better after the full 20 minutes. If you have sensitive skin, do a test on a small patch of skin before slathering it all over your face. 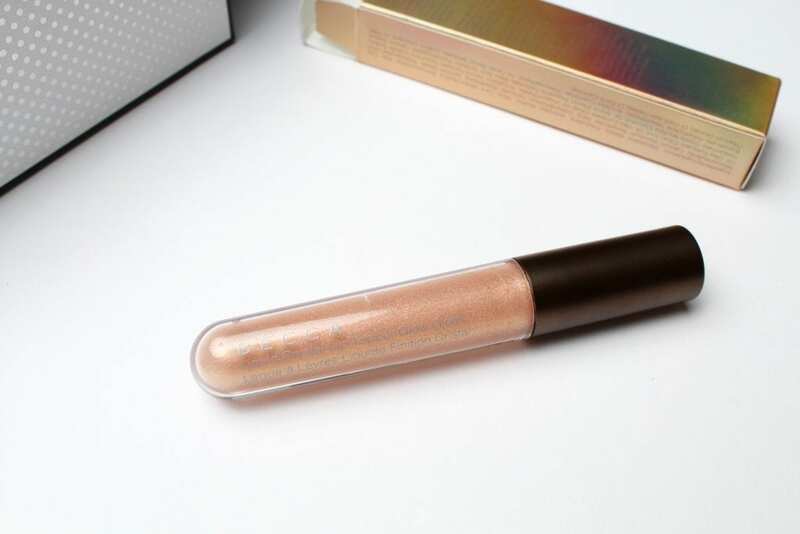 This looks like a lip gloss, but it is actually a shimmery highlighter. The color of this Kaleido Astrolight Highlighter is called Electric. Although it looks kind of dark, it’s pretty universally flattering. You could easily use it on light or dark skin tones. The shine on this highlighter is intense! It’s best for a night look or for people who like dramatic makeup. We also tried using this highlighter as a shimmery, gel eyeshadow. It worked well, but you need to blend it well. The formula goes on smooth and smells like candy. This setting powder might not be great for people who don’t like wearing foundation, but if you do, this powder is great. It works well. 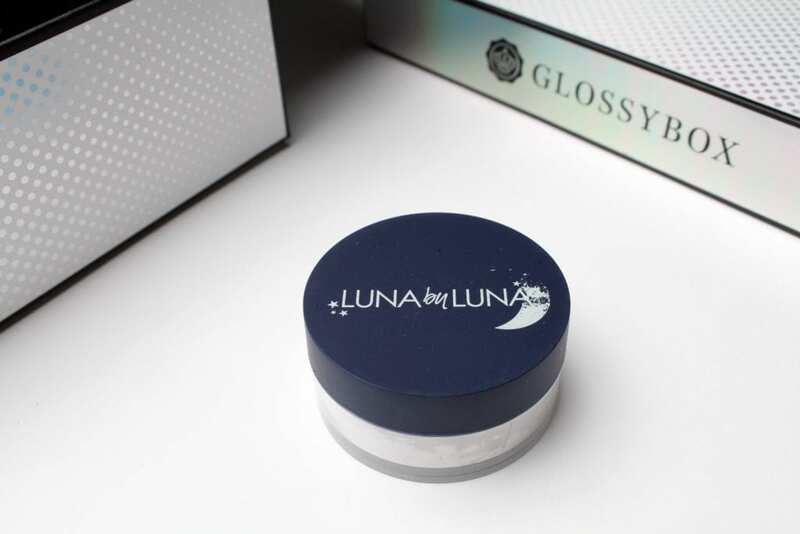 This Luna by Luna Translucent setting powder goes on after applying all of your makeup. It also helps tone down the look of the Kaleido highlighter. This setting powder is a loose powder that you can shake through sifter holes. It comes with a small powder puff. However, applying a setting powder with a fluffy brush helps your makeup look a lot more natural. It’s a little-known fact that applying lip gloss can help your lips look fuller. This Becca Liquid Crystal Lip Topper Glow Gloss does exactly that. It has a subtle shimmer that isn’t too flashy and helps draw more attention to your lips. The texture was a little sticky, but it did help the gloss stay on longer. You can wear this gloss alone or put it on top of your favorite lipstick for a more dramatic effect. This matte red lipstick by Jafra is our second favorite product in the box. If you dab a little bit on, it gives a nice, subtle color to your lips. If you swipe on two coats, you have a bold lip in a beautiful, red shade. 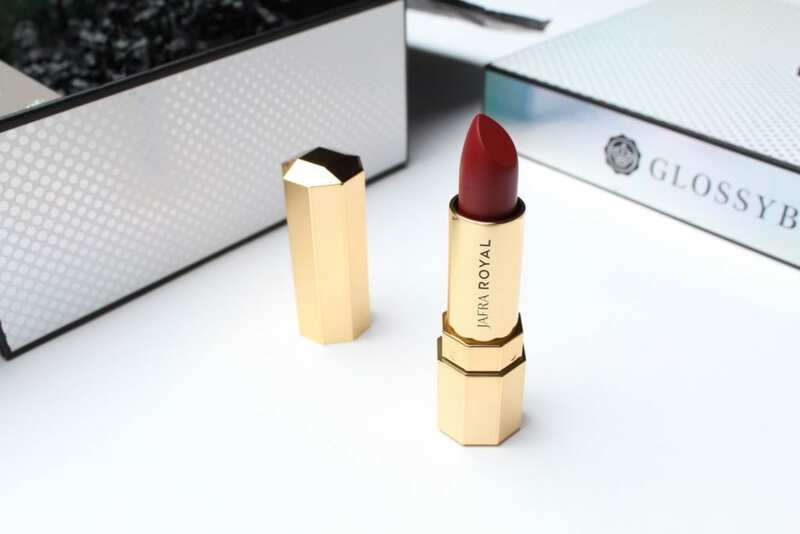 It’s hard to find a red lipstick in the perfect red shade, but this is it! The texture formula is smooth and includes royal jelly to keep your lips hydrated. We also love the gold packaging. It makes applying your makeup feel just a little bit more luxurious. After our Glossybox review, we feel that Glossybox is one of the best beauty subscription boxes for full-sized beauty products. This company delivers a good variety of makeup, skincare and hair care products from luxury brands. We loved three out of five of the products, which still ended up being an amazing value. The products we didn’t love because of our personal makeup preferences would make excellent gifts to friends. The lipstick, setting powder and face mask have made their way into our regular skincare and makeup routine. Based on the contents of the December 2018 beauty box, we highly recommend subscribing to Glossybox. This company also has great customer service available by phone. If you’re interested in subscribing to this box, learn more about it. Have you tried this beauty subscription box? If so, leave your own Glossybox review below.